Games are very important for our health. So today I am going to show you the best cricket games for your smartphone and feel as you are playing cricket on the cricket field. cricket is the most popular games all over the world. People love to plays cricket game on the ground. Every day they try to play cricket and even some people install, cricket game in mobile and start playing at any point in time. If they are traveling on the bus then also they start to play a cricket game on mobile. You will be happy to know that there are lots of high-quality cricket games for android mobiles. If you are having an Android mobile then you can download and can enjoy it. ICC Cricket T-20 championship is going to start in upcoming months. 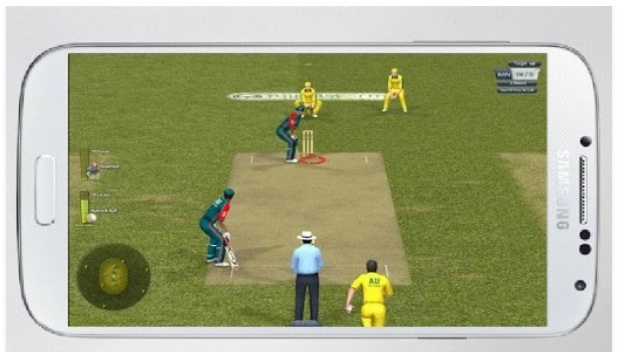 So fever of cricket will be at its height so this article is helpful for those users who can’t play games outdoor can download some realistic Cricket Android games with decent Graphics. You need not to have a high-end smartphone with some recent configuration as these games which are given below can work in normal smartphone also. You will not feel any frame drop while playing the game. 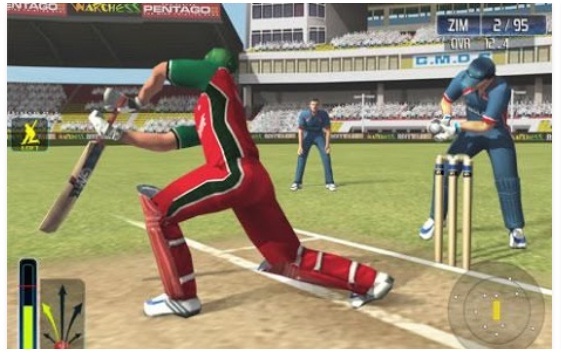 Cricket games are most downloading sports games from play store. So the list of top 10 Cricket games for android mobile begins. Below are cricket games for cricket mania. So if you are cricket mania then lets download cricket games on android mobile. Real cricket 16 is the most trending cricket game. More than 5 lakhs users have given a 5-star rating to Real Cricket 16. Users can get the experience of best 2D graphics. It has some great controls. Real Cricket 16 is a simple and a small game so users will not feel any frame drop or any legs while playing. It deserves to take the first position in the top 10’s list. 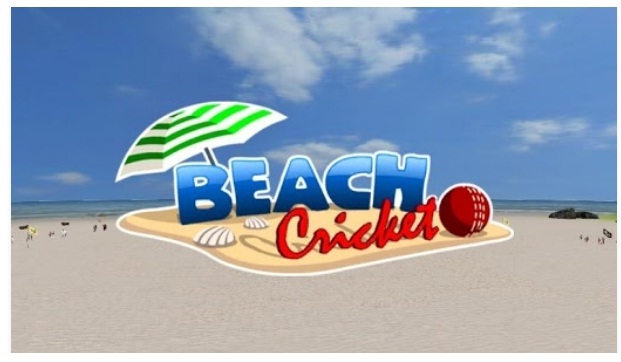 This is another tiny game developed by an Indian company but this game has lots of data saved by which users can play different tournaments such as ODI, Test matches, World Cups. It has eights International Teams to choose. Cricket T20 Fever provides a great 3D feel to its users and it got decent appreciations for its users. It brings you some exciting modes of playing a game. It offers multiplayer modes to play games with their friends. Users can invite their friends or their unknown ones so that they can play games along with them. We can customize the gameplay mode and we can make our game a 5 over a match. So enjoy this game at least one for good experience. 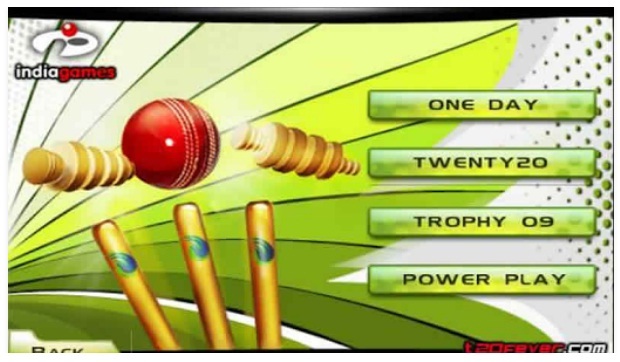 It is the most appreciated & addictive cricket game and it can provide users a decent graphics. Cricket WorldCup Fever allows you to watch a slow motion winning video. It provides Real Stadiums to play matches, this will give them a realistic feel and its interference is also very user-friendly. These cricket games have 12 teams and 3 different stadiums so this is decent featured cricket game. This game is for that user who loves the nature and for those who love the environment besides the Beaches. Interference of this cricket game is pretty decent and you will feel very comfortable while playing. 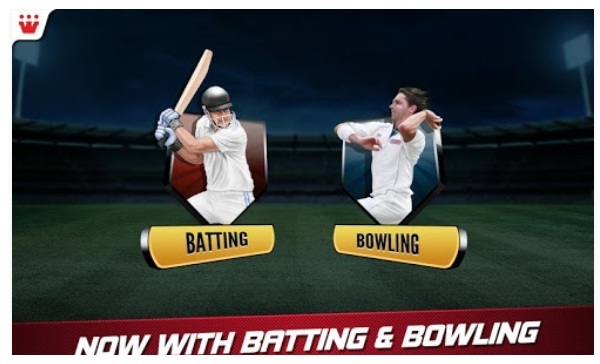 In this game Batsman is predefined but users can choose their respective blowers. Users can get direct sunlight and sunset while playing the game on Beach. Its good graphics make it best android cricket game. The best cricket simulation game for 2017. A most appreciated game with great graphics. This cricket game is completely designed for die-hard fans of Cricket as it allows almost all the feature which a normal cricket game played on the field allows. It has different features to customize our gameplay. 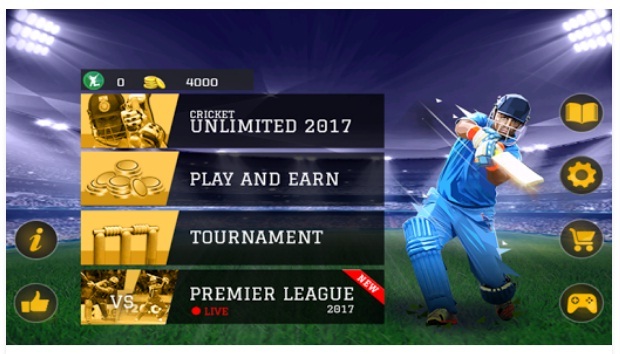 Cricket unlimited offer full games such as you can play complete tournament for free unlike other games you need not buy anything to unlock the full version, it is already a full version game. This cricket game is newly launched and it is a simple and realistic game. It provides you the privilege to choose their best 11 team members from some predefined players which are there in the game memory. This game is getting popular very fast as its graphics are good, it makes you feel lite while playing the game. Interference is too very comfortable and users feel not experience any lag or any drop while playing. It also very pleasant for eyes, you will not feel heavy. The most downloaded game of 2015 and 2016. It has almost 5 million downloads. This cricket game is very light and is very simple for those users who don’t like to waste their time customizing. This game can be played directly by launching it on your smartphones. It provides its users a very realistic environment in which they can play this game very comfortably without any issues. It is a good game to play on your Android smartphone by just spending few Mbs to download it. The last game on our list. Thi is also an Indian developed game. It is a small game and easy to download. 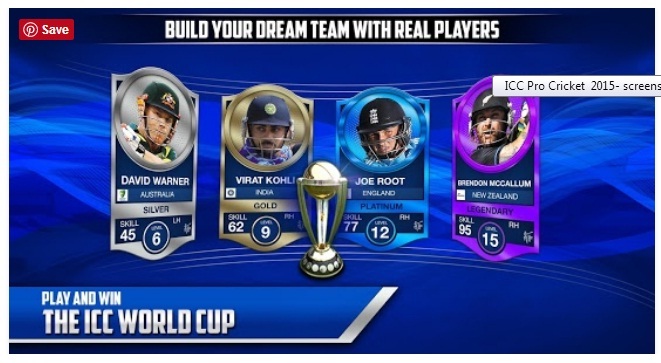 You can get some new related to ICC world cup in this game. This is a very basic designed game especially for those who can’t make changes in their gameplay. It has three levels easy, hard and medium whereas it also provides some other option such as Quickplay, World Cup, and challenge. This cricket game has more than 4 million downloads. While playing this game we can make changes in the batting order, in fielding, and in bowling order. Overall it is a good and a simple game you can go for this. Now it’s your time to tell us new cricket game which is not listed above. We will add it manually. So these are cricket Android games for your smartphone. I have used some of them and other cricket games are recommended by others. So I highly request you to use above cricket game and tell us which one was best game for you. Hi Vikas, among these cricket games, Cricket T20 Fever 3D is best, I want to add Stick Cricket too in your list, its easier to play but hard to master, its easy see the ball, hit the ball but very challenging. Please tell me a cricket game in which I can customize new characters for android!